The balloon best adapted to short flights—a few hours to a few days—is the zero-pressure stratospheric balloon, which is also the oldest balloon design. In this type of balloon, the internal and external pressure is always the same. Zero-pressure stratospheric balloons are filled with helium, giving them the ability to carry heavy payloads at stratospheric altitudes. They have valves to discharge excess gas. 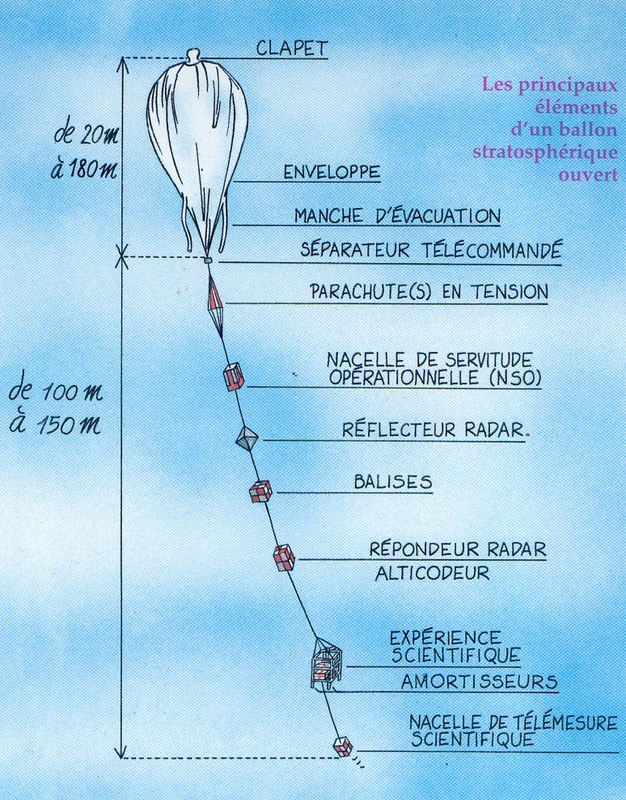 A balloon may rise as far as 40 km. As it ascends, air pressure decreases and the gas inside the balloon expands. The balloon will continue to ascend until the gas completely fills the envelope, at which point any further expansion causes excess gas to be expelled. To compensate for expansion of the gas, a very large balloon envelope is needed. Sometimes, the envelope may be larger than a football field. Zero-pressure balloons only stay aloft for a short time. As the surrounding air cools at night, the gas in the balloon contracts and the volume of the envelope decreases. As a result, the balloon inevitably starts to sink after its first night aloft. 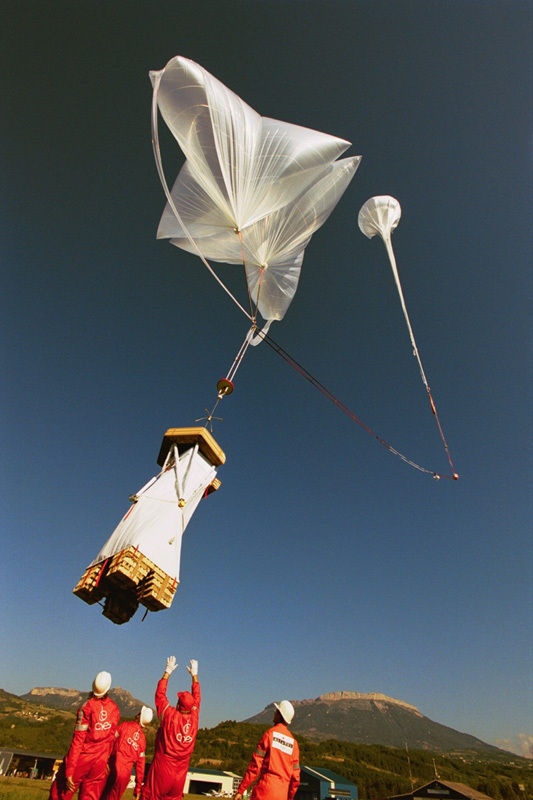 In practice, zero-pressure balloons are only used for flights of less than 24 hours. However, longer flights are possible in the polar regions during complete daylight or darkness.